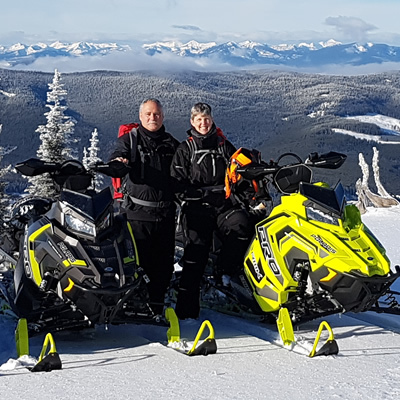 Congratulations to Dean Ingram from Edgewater, B.C., for winning our Hotshots contest in September. Thanks to our sponsor, SPOT LLC., we were able to send him a Gen3 Satellite Messenger. That means our Hotshot contest is fired up and ready for the 2015-2016 snowmobiling season and we’ve got some great prizes lined up. This month, we’re giving away an Avalanche Companion Rescue Course from Trigger Point Avalanche Training. 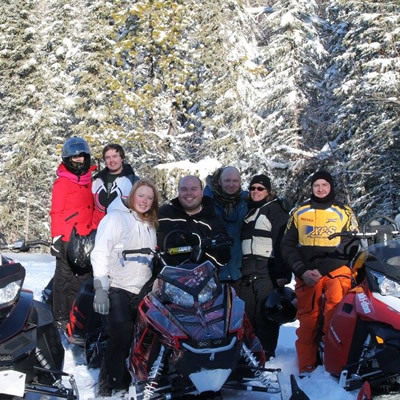 To enter, simply go to our Hotshots page and upload your best snowmobiling photo. With our website’s new, mobile-friendly design, you can easily upload a photo right from on your smartphone or tablet. How and when did you get into sledding? I got into sledding about six years ago because I was into backcountry skiing and wanted to get first tracks in fresh powder. I ride a 2015 Ski-Doo 800. Where do you mainly ride? I do most of my riding in the Radium Hot Springs and Golden area (of B.C.). 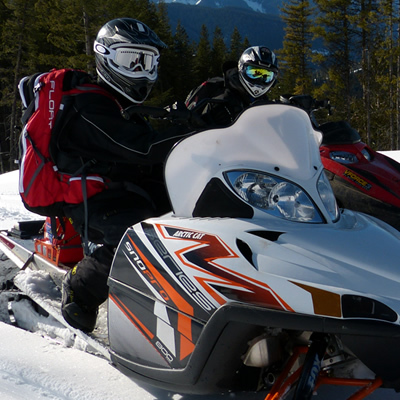 There is something for every type of sledder: tree riding, glacier riding, hills and chutes. My favourite kind of riding is glacier riding and trees. What is your favourite sledding movie? My favourite sledding movie probably is Two Stroke Cold Smoke. Besides avvy gear, what is your No. 1 must-have for sledding? My must-have for sledding are my downhill skis. 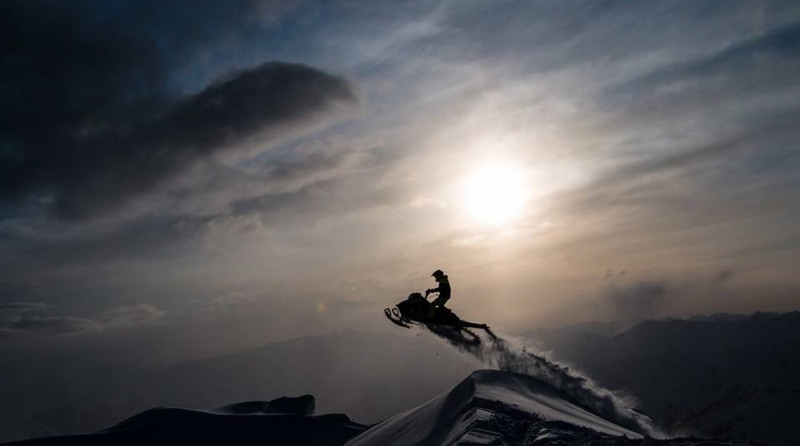 If you could go sledding anywhere in the world, where would you go and why? If I could go anywhere in the world to sled, it would probably be Alaska because of the vast terrain, and you can ride forever. The day I took this photo we rode all day long, and we had to stop and wait for the sunset for about two hours to get this particular shot in the sunset. 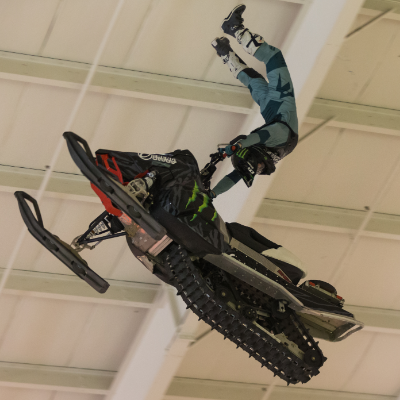 What non-motorized sport are you good at? The best non-motorized sport I’m good at is downhill skiing.